My wooded yard is full of this tall, lovely wildflower! Although it is called blue phlox, the flowers sometimes appear pink or purple. Look closely and you will see that the outer edge of the flower petal is notched outward. The stem of this plant is hairy and slightly sticky; the leaves at the base of the plant are long and narrow. This is a tall variety of phlox, topping out at about 12-18 inches. Blue phlox has a colony-forming growth habit, spreading by underground stems. It forms huge blue drifts, starting in early April. 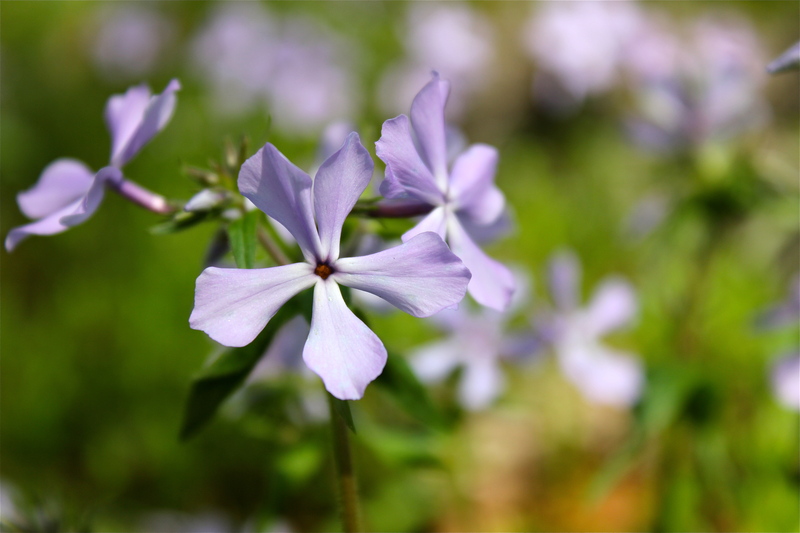 It is wonderfully fragrant: stand near a hillside of wild phlox and breathe in springtime! Next Post Welcome Spring 2015!